Adam Cole had already served in “his” war when Vietnam became part of the national vocabulary. As an American newspaperman living and working in Vancouver, Canada, he hoped to keep his distance from the Vietnam War engulfing America’s consciousness. But war’s repercussions cross all borders. So too do the explosive events that accompany a clash of violently opposed beliefs and agendas. 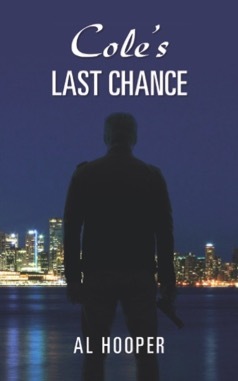 Cole’s Last Chance, a sequel to the Adam Cole novel Flynn’s Last Stand, is both a superbly written crime novel and a mature love story. Its riveting events unfold at a moment in history when the nation was undergoing a collective nervous breakdown, with consequences that continue to this day.